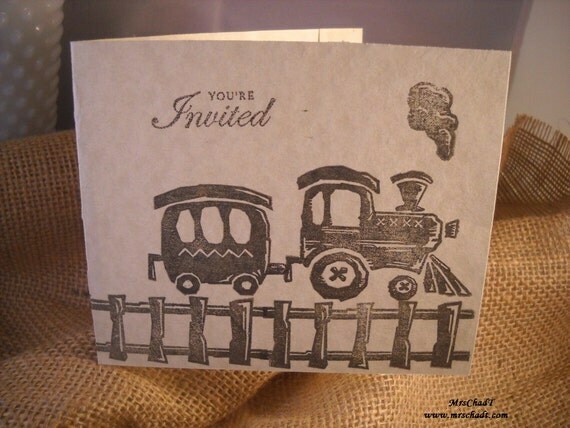 I had a special request for matching invitations, thank you cards, and food label cards to go with my vintage train guest book album in the shop this past week. I came up with two different types of invitations. 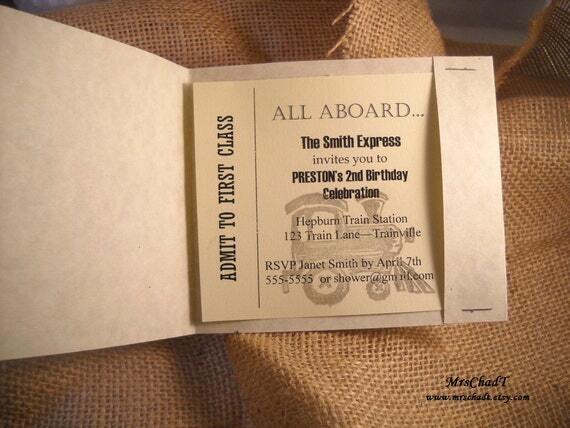 One is a side opening invitation with pocket and a ticket inside with the party info. 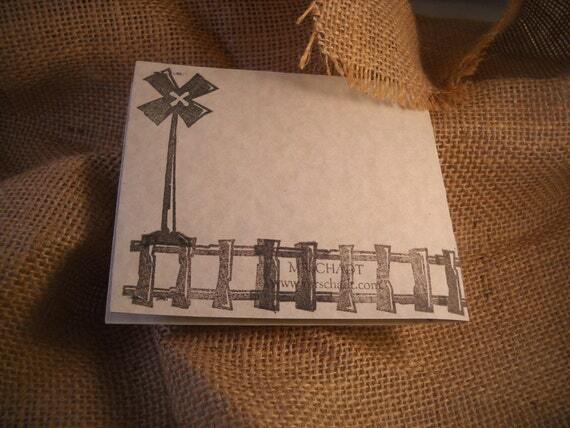 I stamped the entire card with the railroad track, including the back of the invitation. The second one is a top opening card with the party information on the inside as seen here. 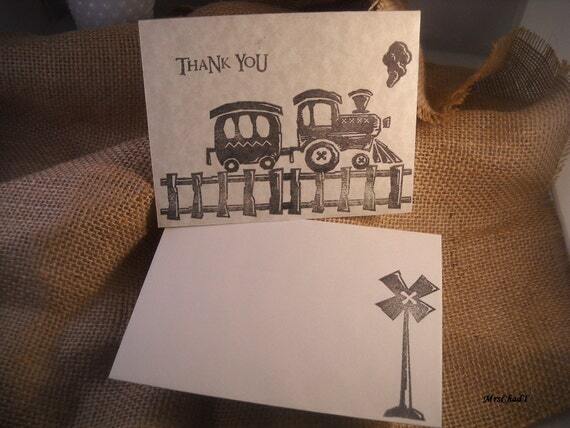 And of course the Thank you cards. 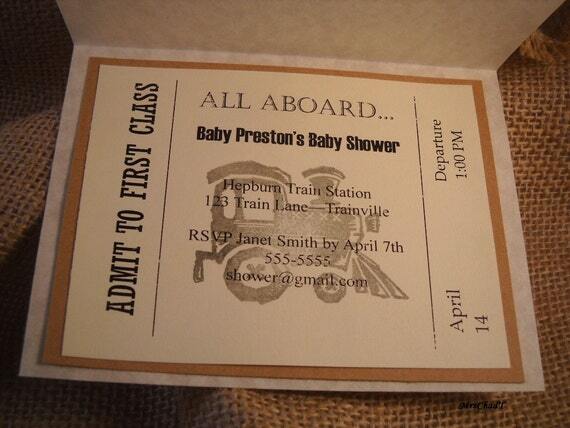 I also stamped all the envelopes with a railroad sign. Stay tuned for the rest of the matching vintage train book and table settings.